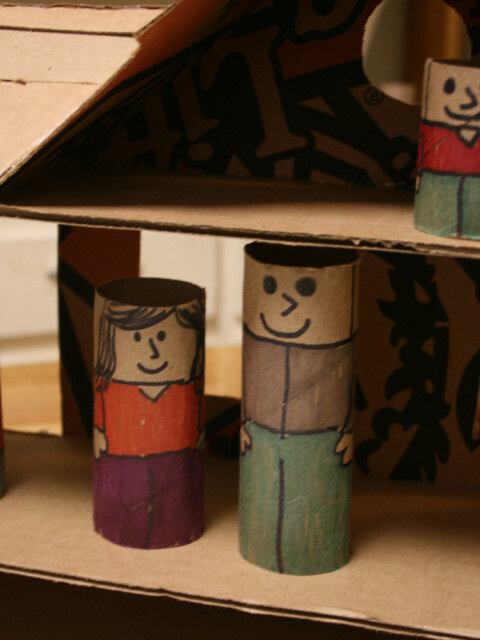 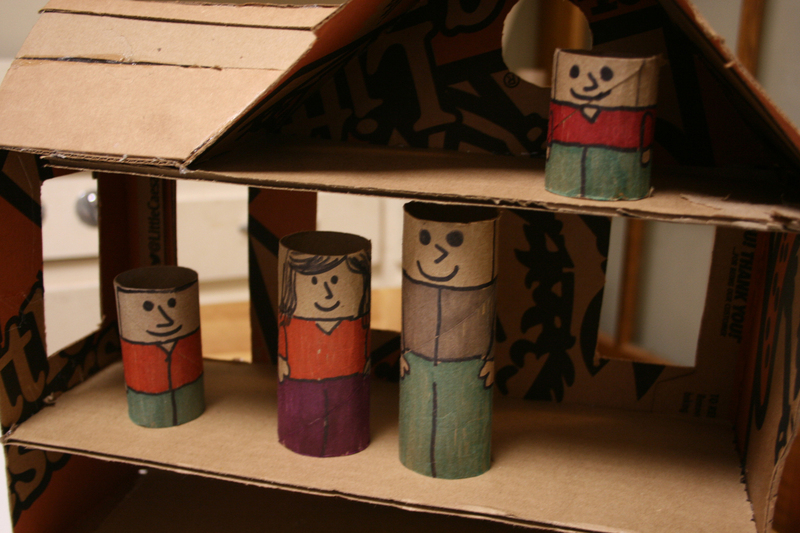 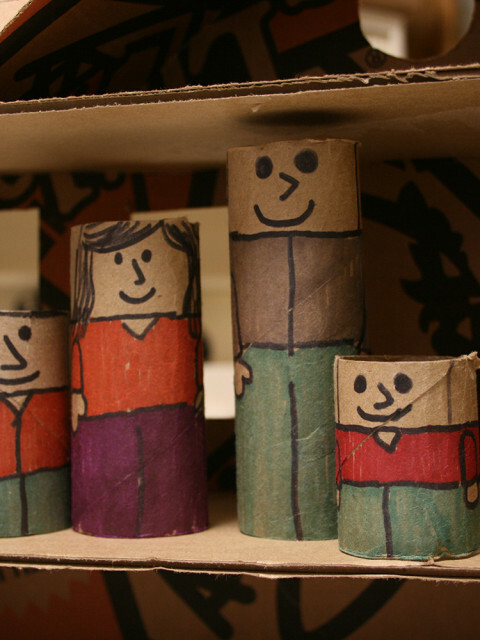 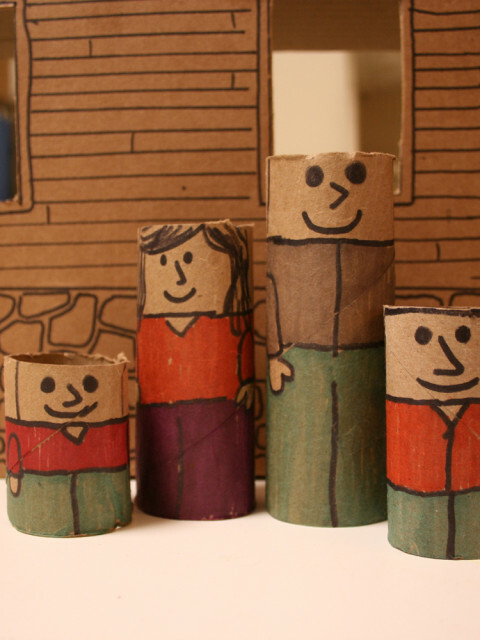 Recreate your family by cutting paper tubes to various lengths. 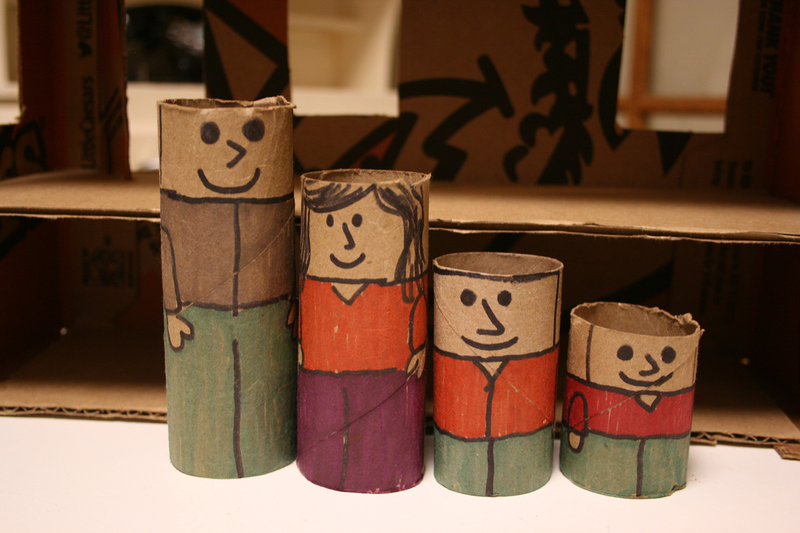 Decorate a tube to represent a member of your family. 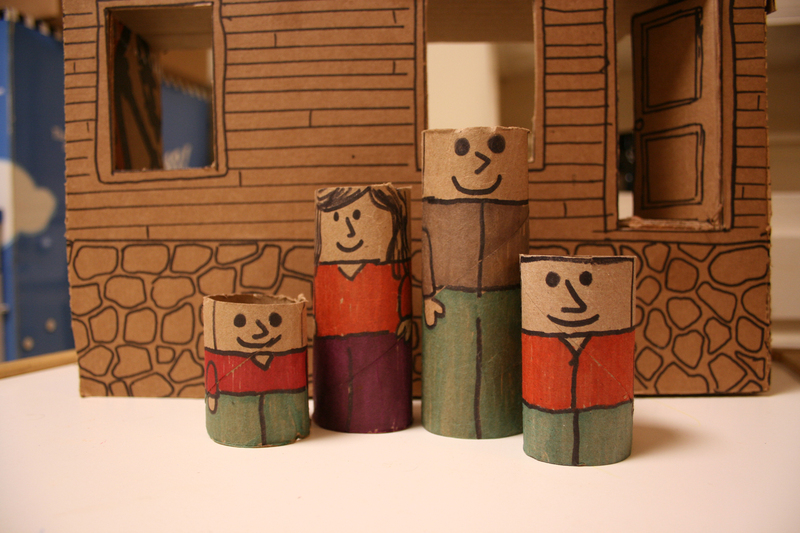 Use the dolls to recreate moments from your family adventures or create new imaginary situations. 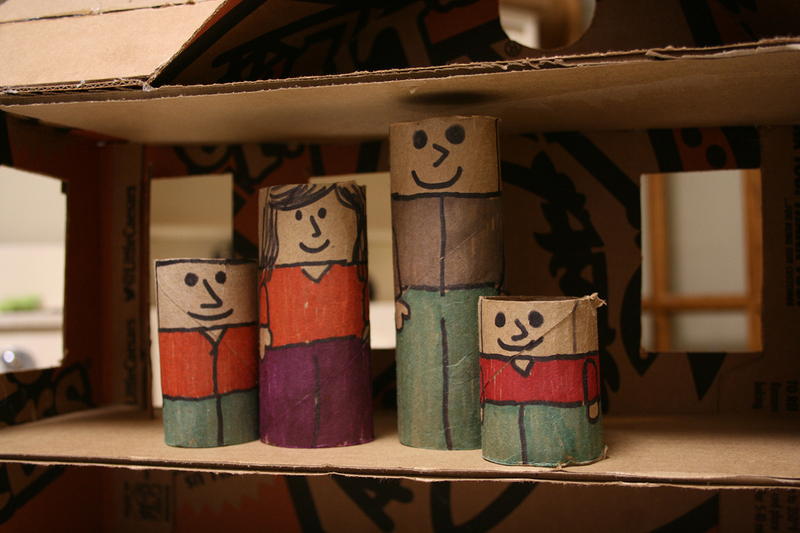 During play: compare heights, count the dolls, model conflict resolution. 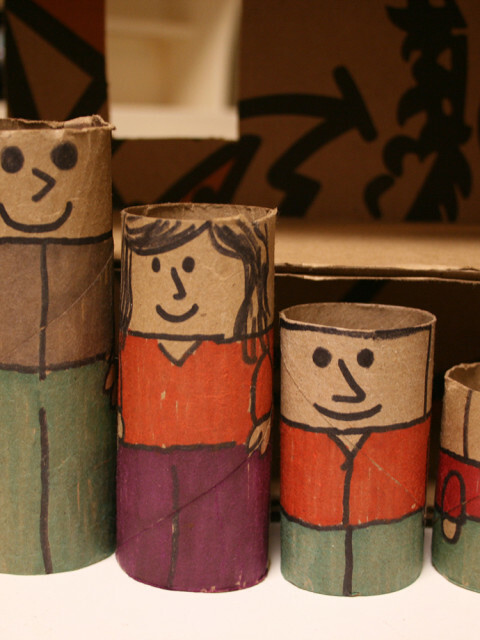 Add extended family or friends to your collection.